Our directory has 53 Mexico Lindo locations. 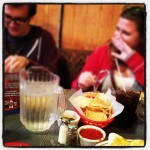 Try the chicken, steak, or pork entrees instead of the usual Mexican choices (tacos, burritos, etc). My favorite is the chicken carnitas. The tortilla soup is deliciosa! 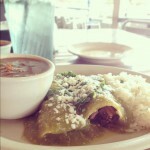 At lunch, the enchiladas del Norte (carne guisada) are great! Anything for dinner is wonderful; I get the puerco en chile cazcabel. It's some of the best red sauce in town! 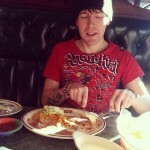 Awesome Mexican food! I'd recommend getting the botana or tacos. My family loves their chips. Great food! The carnitas tacos on corn tortillas are awesome. Ask for tomatillo salsa, cilantro and onions to top your tacos with. Tasty!!! You have to get the queso. Their chicken quesadillas are the best. Delicious, juicy meats and their chips and salsa are great! Fast, friendly, cheap.